WAKO Extraordinary General Assembly has taken place at Milano, 1st February 2019, due to the Presidency elections. Present were representatives of 60 countries of which 51 had the right to vote. From three candidates appointed, Mr. Nasser Nassiri, Iran, pulled out his candidacy the day before the General Assembly and two candidates were left: Mrs. Olga Pavlenko, Ukraina and Mr. Roy Baker, Ireland. Firstly it was short presentation of two candidates, they introduced themselves and presented the plans for the future. Than the voting could start. After appointing an electoral and scrutinized commission, the conformity and transparency has been confirmed. Votes were held by secret ballot in a controlled but transparent way: each country was called, who then came forward, received voting card, went to the booth, made the decision, and inserted decision in the ballot box. The best practice. ” Thank you for your confidence in me. I promise I will do everything in my power to help the athletes, the coaches, the national federations, the continental federations . Individual commitment to a group effort is what will make WAKO work. An team will make WAKO work. I will rely on the WAKO Board, administration and the national federations and when we come together, we will move forward. I will rely on my family, who allowed me to go for this. The great things in sport are never done by one person. Trust me, the presidency is a very tough job. I would like to thank to the people who listened to me without judgment, who spoke to me without the prejudice, who helped me without entitlement and understood me without pretension. We are responsible for the young children in our sport. They are our future. 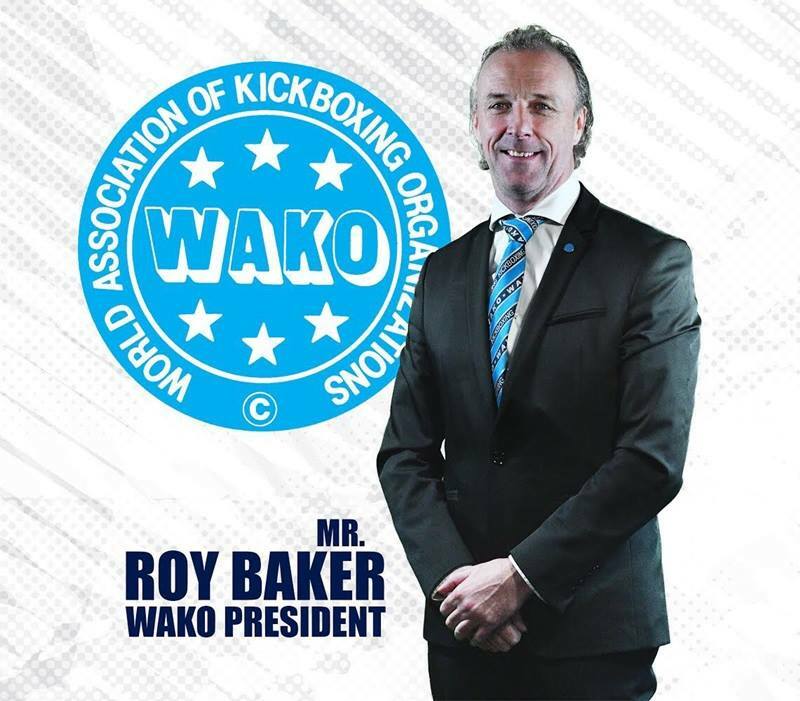 Roy Baker is a former World and European champion of kickboxing, current president of WAKO Ireland and current president of WAKO Europe. Professionally, he is a director of SSE, which is FTSE 20 company with a multi billion turnover. He has the degree in Credit management, degree in IT Integration and Masters in Management. He is A six sigma lean master Black belt. He is now the first Irishman to be a President of a World governing body of a sport recognized by the IOC. He has two children, which are the very center of his life and he never miss the opportunity to stress that.